Mormon Moms: No Time in Front of Mirror Will Make You as Attractive as . . .
No Time in Front of Mirror Will Make You as Attractive as . . .
My daughter recently brought this message home from her 'Institute of Religion' class. It's a truth from which we can all benefit. 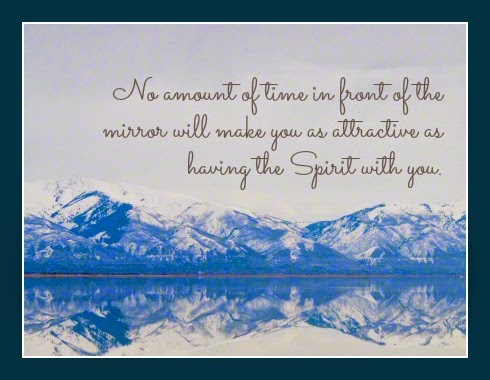 will make you as attractive as having the Spirit with you."